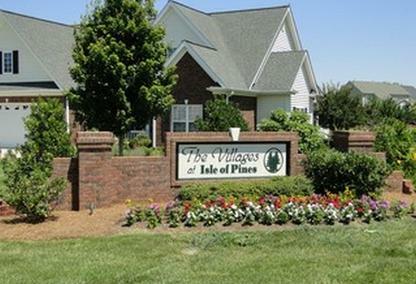 The Villages at Isle of Pines is a 55+ community located in Mooresville, North Carolina. This private community features low-maintenance homes in a wooded setting. Homes range from 1,500 to 2,694 square feet. All lawn care on the 2/3-acre lots is included in the association fees. Amenities include walking trails, RV and boat storage options. Golf courses, water sports, dining and shopping are located nearby.